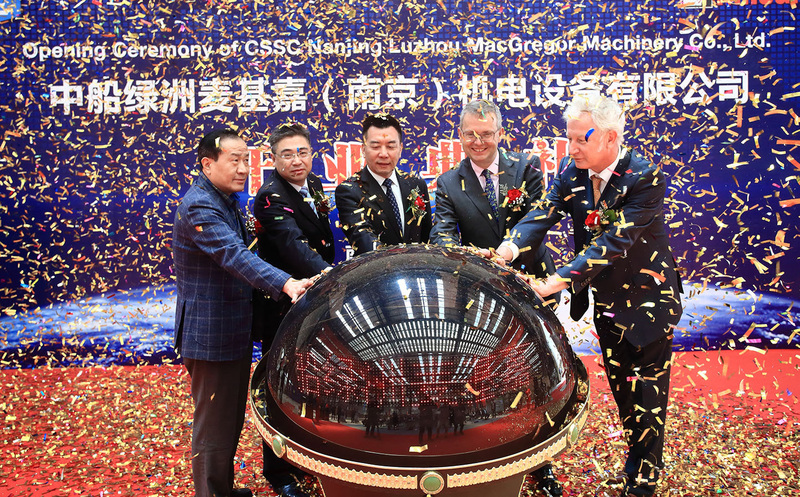 MacGregor, part of Cargotec, and China State Shipbuilding Corporation's (CSSC) Nanjing Luzhou Machine Co., Ltd. (LMC) celebrated the opening of their first joint venture in Nanjing, China on April 10. CSSC LMC and MacGregor have established a solid foundation of trust through 30 years of successful cooperation. This joint venture turns the first page for a new era of a long-term strategic co-operation. The joint venture's business model and organisational structure were developed during 2017, and the business license was obtained in March 2018. Sun Wei, Vice President, CSSC Group says: "This joint venture establishment is a new cooperation model between our companies who both operate in the challenging market conditions. CSSC Nanjing Luzhou and MacGregor have built a solid foundation through 30 years' friendly cooperation. 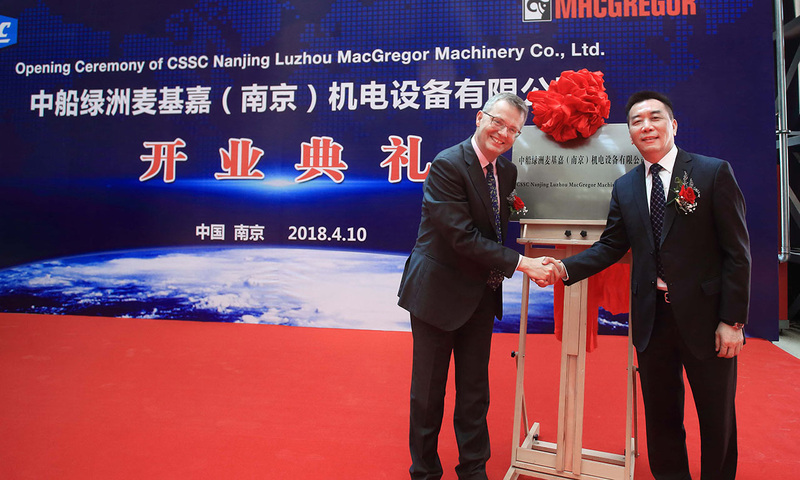 The new joint venture will combine MacGregor's strengths in design, technology, management and global after-sales service with Nanjing Luzhou's strengths in domestic production and sales based on the scale and industry strength of the CSSC Group. By actively exploring effective and innovative ways of cooperation, we are together able to achieve a win-win situation and good market prospects for the joint venture. Michel van Roozendaal, President, MacGregor says: "When looking at CSSC and MacGregor, we see two leaders joining forces. CSSC is the primary shipbuilding group in China, and well positioned as a global leader in the industry. MacGregor is the global leading expert of marine and offshore cargo and load handling solutions. This powerful combination will help us serving our customers even better than before. We shape the industry we operate in."